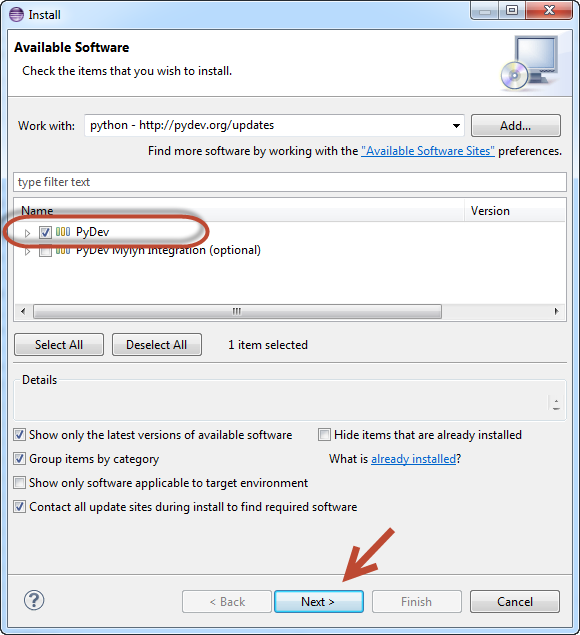 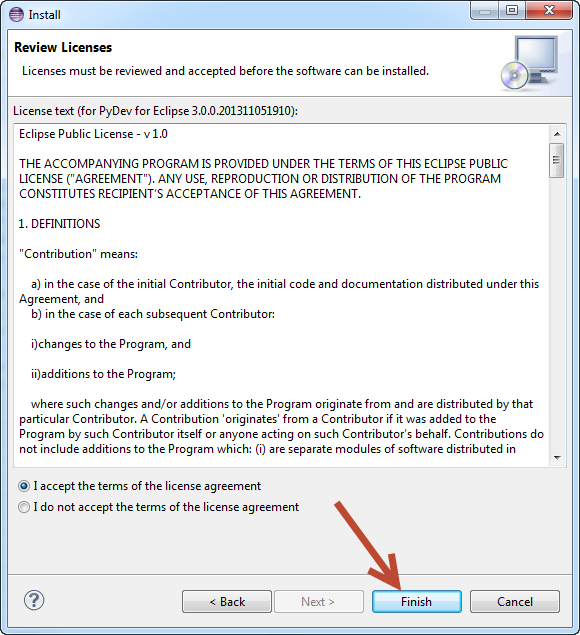 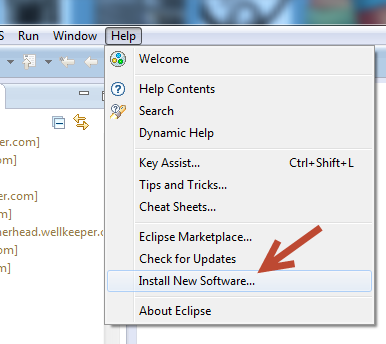 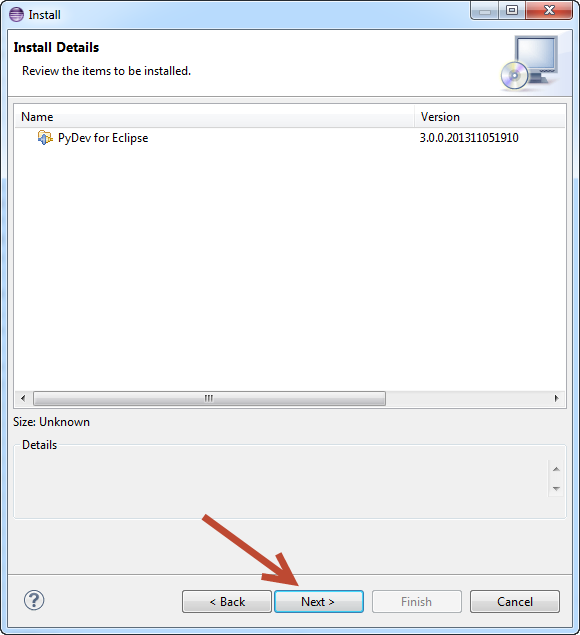 Eclipse will download the python tools. 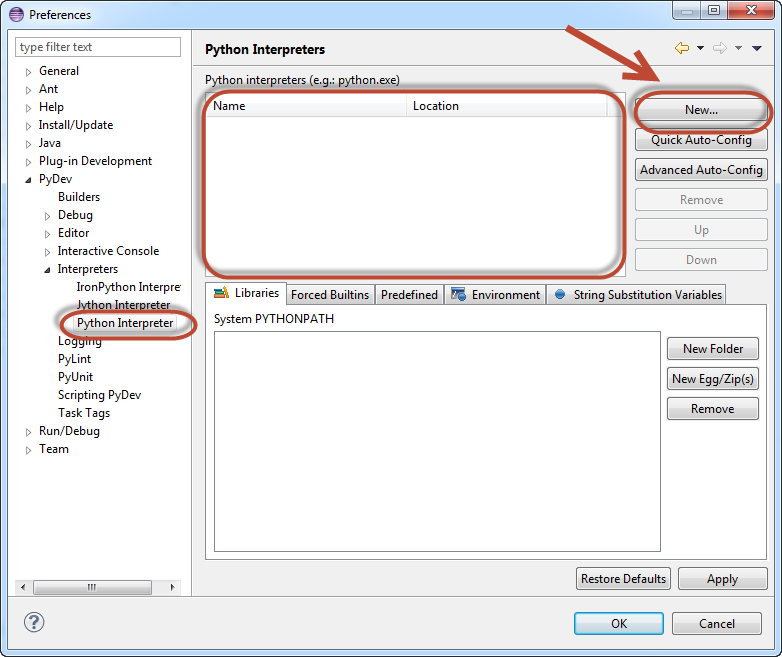 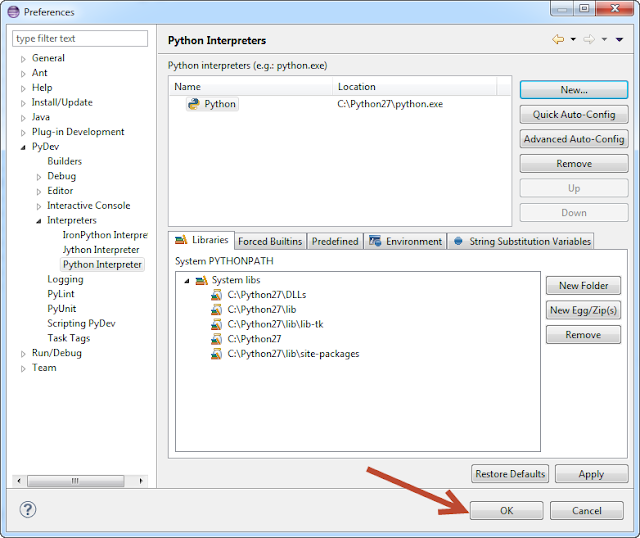 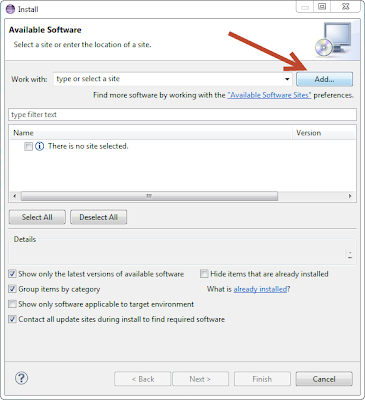 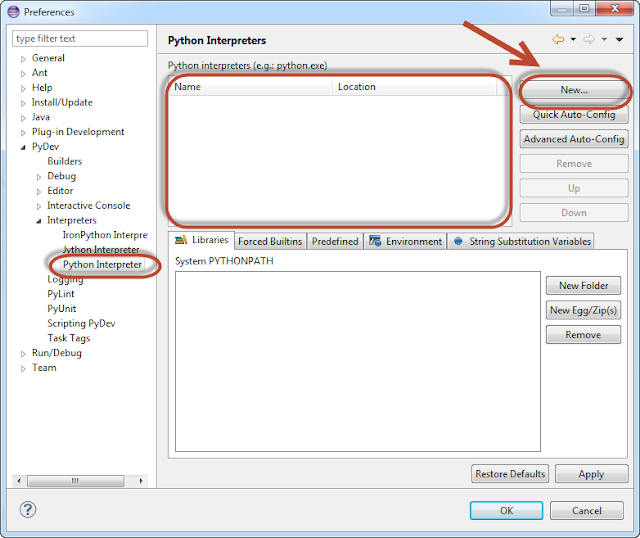 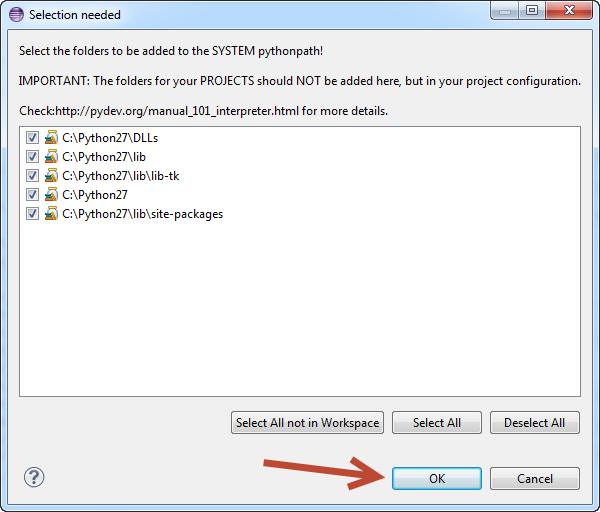 If you don't have a python interpreter set up click New. Click Browse and find your python executable. 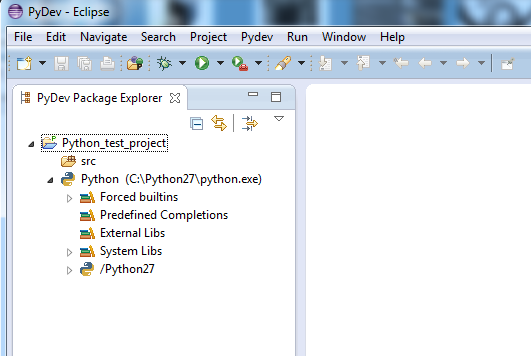 It will find these to add to the System path. 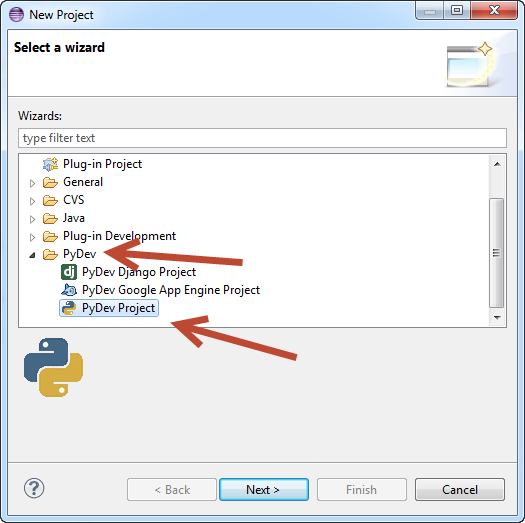 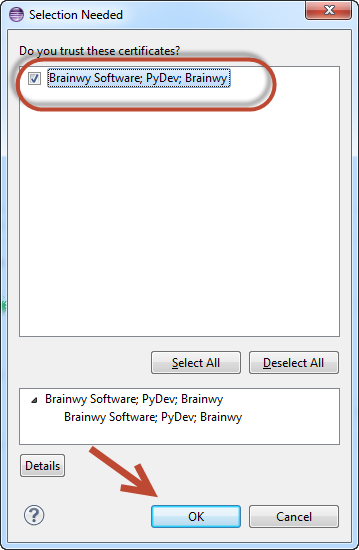 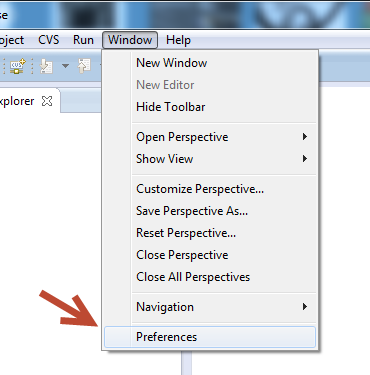 Select PyDev -> PyDev Project and click Next. 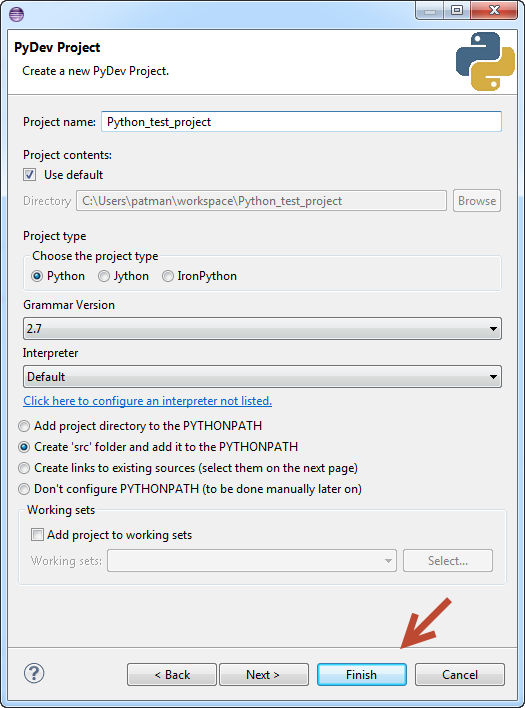 A python project was created.